Wash, halve and drain the Brussels sprouts. Add green onions and garlic. Saute' until golden. 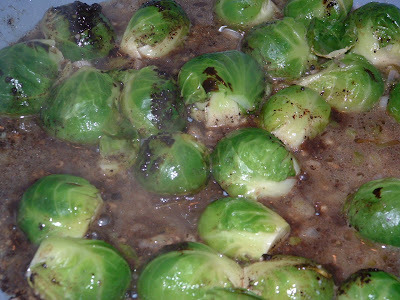 Add Brussels sprouts and continue sauteing until tender. 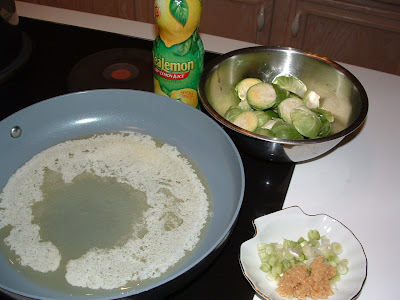 Add lemon juice and champagne vinegar. Heat through.